Are you looking for an effective method to control the curls or waves in your hair? Achieve the sleek and smooth look you’ve always wanted with a professional Salon Naava LLC hair relaxer treatment that leaves hair shiny, silky and straight. Salon Naava LLC hair relaxer treatments makes your hair easier to manage and can reduce the time you normally spend struggling with styling each day. By breaking down the hair strand and changing its structure, advanced hair relaxing treatments alter each strand, eliminating fuss along with frizz. 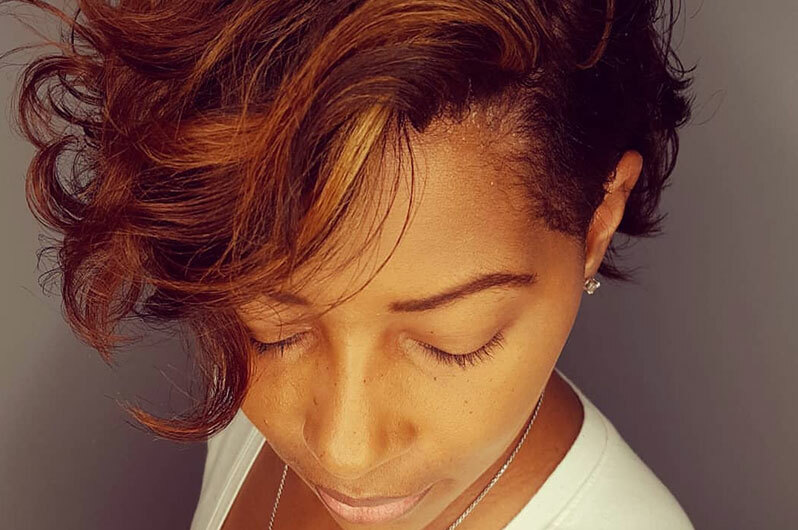 Salon Naava recommends a demi-permanent color the same day as getting the relaxer. Permanent color or lightening should be done no sooner that two weeks after getting a relaxer. Take a step toward taming your tresses with a professional consultation from a Salon Naava LLC stylist.